Ross was born march 10th, 1936 in Fremont to Bill and Kathryn ‘Sellhorn’ Rohde. Ross grew up in North Bend and graduated from North Bend High School in 1953. He married JoAnn Buresh in 1957. He worked for Watson’s Trailer House Co., Gamble-Skogmo and Consolidated Freightways as a professional transport operator. After retirement in 1997, he worked for a farmer in North Bend and drove and delivered cars. Ross was a member of the Fraternal Order of the Eagles Arie #200 in Fremont and a camping club. 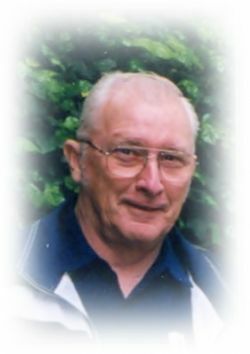 He enjoyed camping, car races, football, being outside and being with his kids and grandkids. The couple wintered in Texas for 16 years. Ross was preceded in death by his parents. Private family burial will be held in Memorial Cemetery with a celebration of life to be held on Saturday, February 9 at the Eagles Club from 1pm to 3pm.